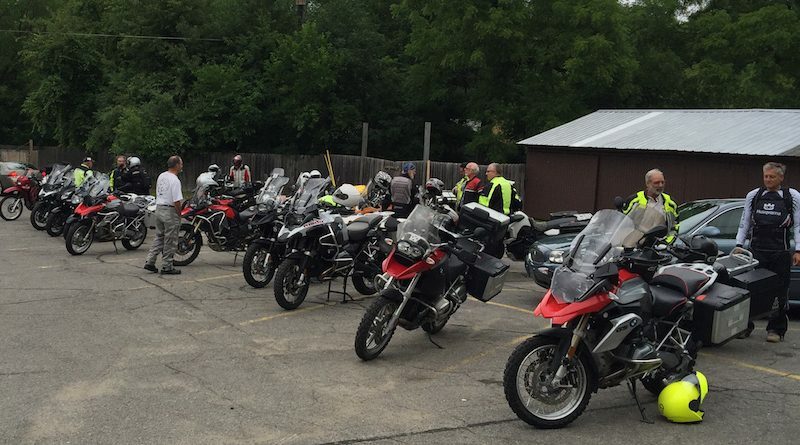 August 9th 2016 - 23 TCD'ers made their way to the Inverness Inn for some backroad fun. The large group was a nice surprise, but it was a bit overwhelming to the Inverness staff. 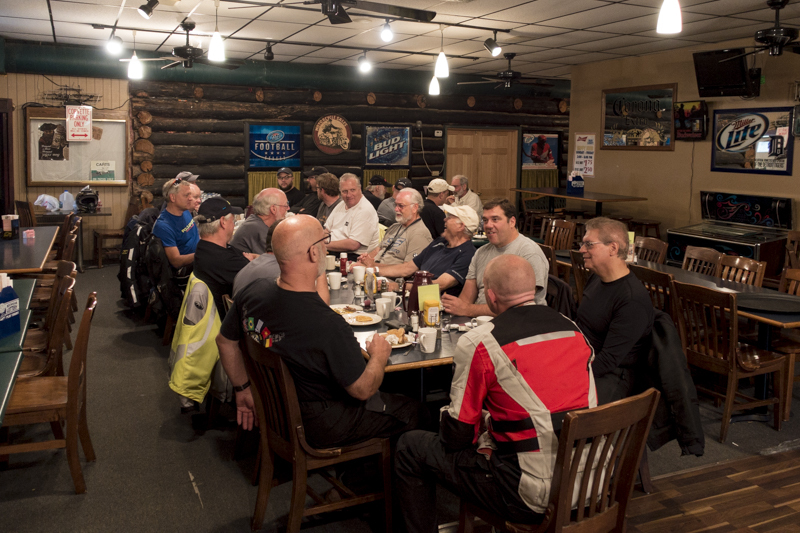 Luckily we had Dave Martin with us - who secured coffee cups, silverware, and kept things moving (some reported seeing him in the kitchen slinging eggs..) Ultimately, it took an extra half hour to get the group on the road, but it was an excellent breakfast. Mostly the group was ADV GS riders who planned on the dirt route, but Dale led a couple of pavement riders on some great roads doing the 'Jackson Prison Route'. Luckily, they did not mistake Dave DeCook in his Hi-Vis suit as someone making a hasty get-away. The dirt crew suffered an early setback, as Bill's transmission suddenly decided it was time to let go. He got towed into Pinckney by our Prez to await a trailer. 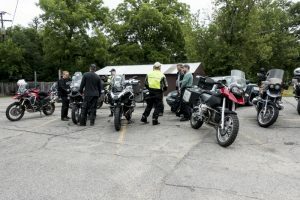 It was a great day for some of the best riding in Southeast Michigan. 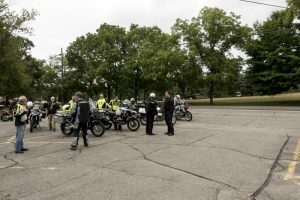 The riders rolled back into the Inverness about 2-1/2 hours later for some more tire kicking in the parking lot. I would also like to thank the one waitress and cook who had to deal with 21 rowdy GS'ers, while Dave and I were model citizens. 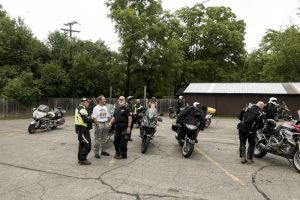 We had a great ride out to Jackson Prison and back. 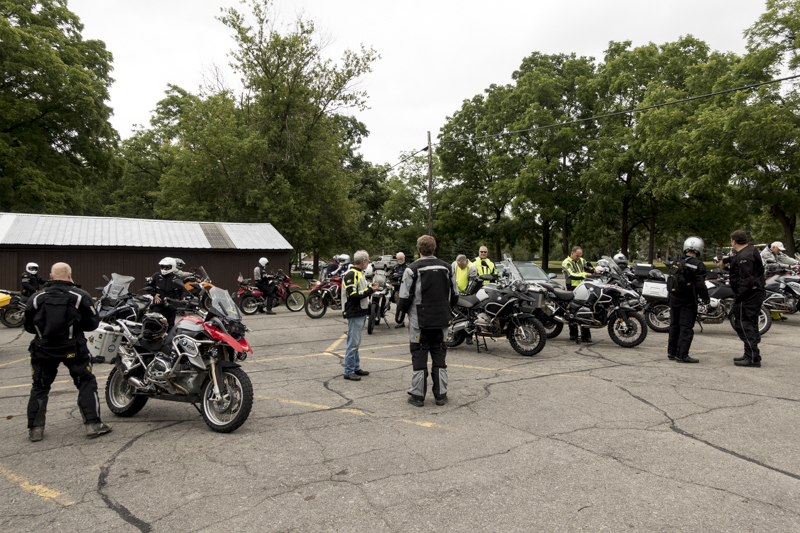 We did have to contend with a lot of the bikes on the road for the race, but after a little while we got past their route. We took a short break at a store just past the prison and made it back to Pinckney where we parted ways. Nobody fell down and nothing broke, another great day of riding. Before breakfast, and they're still coming in.